Renal amyloidosis. 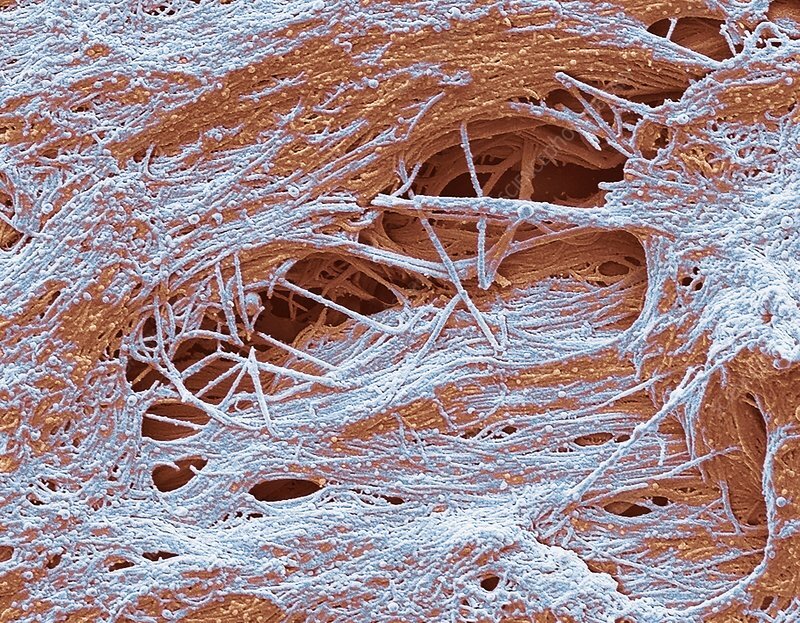 Coloured scanning electron micrograph (SEM) of amyloid fibers from a patient with renal amyloidosis. Amyloidosis is a group of rare but serious conditions caused by deposits of abnormal protein, called amyloid, in tissues and organs throughout the body.The kidneys are the organs most commonly involved in amyloidosis. Renal failure caused by widespread amyloidosis accounts for the majority of deaths from the disease. Magnification: x40000 when printed at 10 centimetres wide.